When thinking of the name ‘Canary Islands’, small yellow birds are usually what springs to mind. 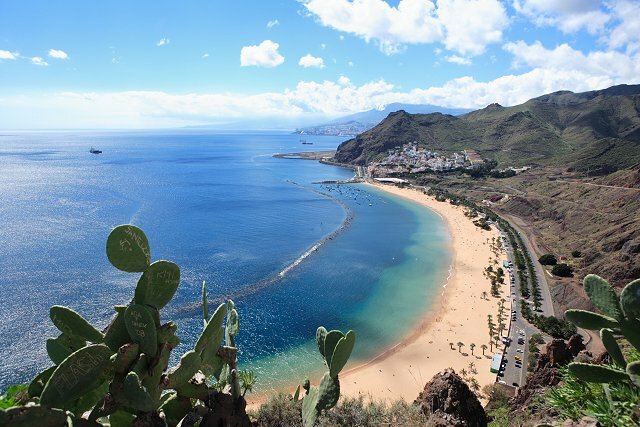 However the name Islas Canarias is derived from the Latin term Insula Canaria, meaning “Island of the Dogs”. It is thought that these ‘dogs’ were actually a species of Monk Seals, which in Latin translate as ‘sea dogs’. These days they are critically endangered and are no longer present in the Canary Islands. However, legend has it that the original inhabitants of the island used to worship dogs, sometimes mummifying them and treating them as holy animals, and when the Romans first visited the island they gave it the name ‘canarii’ translated as “the ones with dogs”.